Richardson residents love our community for various reason. For those who enjoy being active, you can find so many different ways to exercise in Richardson. Gyms, exercise classes, swimming pools, fitness boot camps, yoga studios…we have it all! Of course, you probably won’t be as excited about all of these opportunities to exercise if you have heel pain when exercising. Heel pain is a common problem for patients of all ages. In part, this can be attributed to the fact the heel bone is connected to a couple of frequently-used tissues – the plantar fascia and Achilles tendon. These connective tissues play a role in prominent source of heel pain, like plantar fasciitis, Achilles tendinitis, and Sever’s disease. Calf Stretches – Stand in front of a wall, approximately 1 ft. away, and place both of your hands on the wall at chest level. Take a step back with the right foot and keep the leg straight. Make sure the right foot is flat against the floor and start bending at the left knee until you experience a gentle stretch in the back of your right leg. Hold for 10-30 seconds and then switch legs. Towel Pulls – Lay a towel flat on the floor in front of a chair, remove your socks and shoes, and sit down. Keeping your heels on the floor, use your feet and toes to pull the towel until it is completely under your feet. Repeat the process two or three times. Towel Stretches – Sit on the floor with your legs stretched out. Roll up your towel and loop it over top of your foot. Pull back on the ends of the towel until your feet are stretched and hold the position for 20-30 seconds. Pebble Pick-Up – Sit in a chair and use just your toes to pick up pebbles, marbles, or other small objects and put them in a cup or bowl beside you. Of course, there are other, less specific activities that will also provide benefit to your feet, heels, and ankles. Yoga is a prime example. This low-impact exercise serves to both strengthen and improve flexibility at the same time. Swimming and bicycling are other activities to consider. 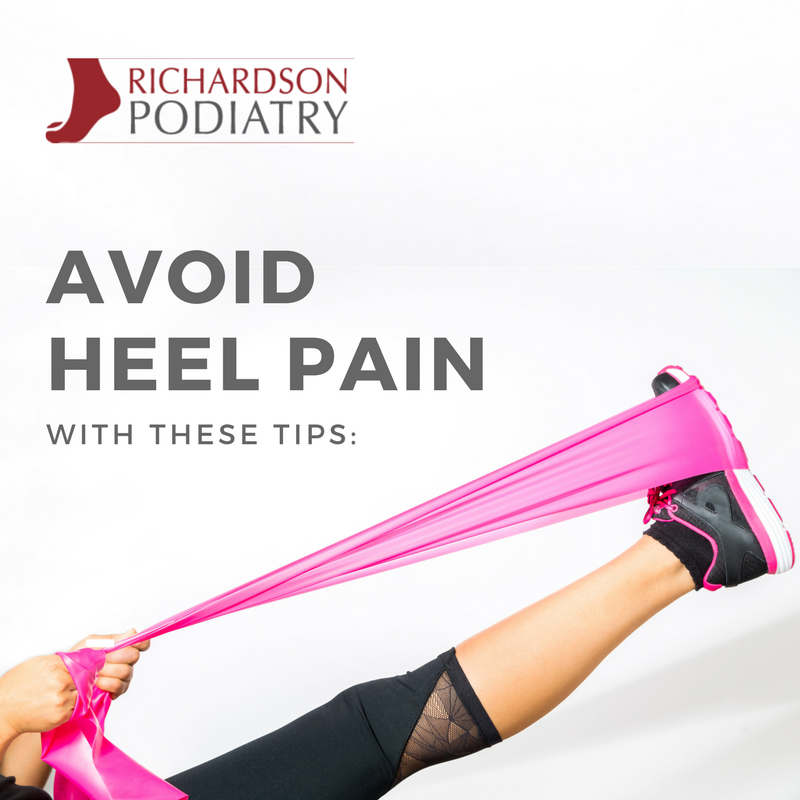 Exercises might help take away your heel pain, but Richardson Podiatry Center, is able to step in what they aren’t enough. When you need professional treatment for any foot or ankle condition, make your appointment with our Richardson podiatrist office. Simply use our online form or call us today at (972) 690-5374.